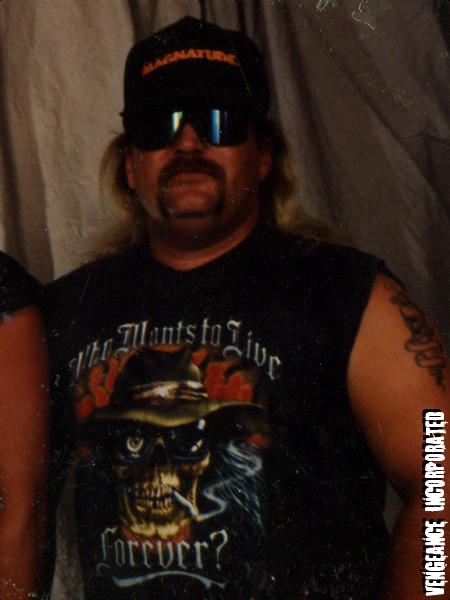 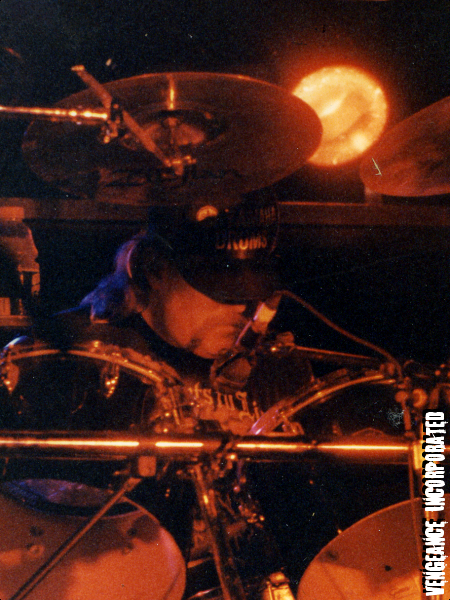 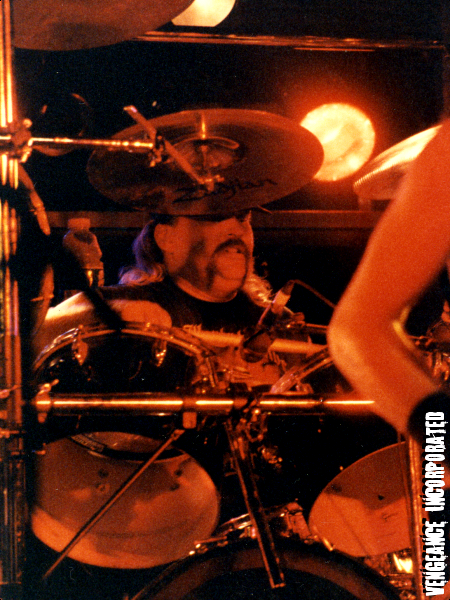 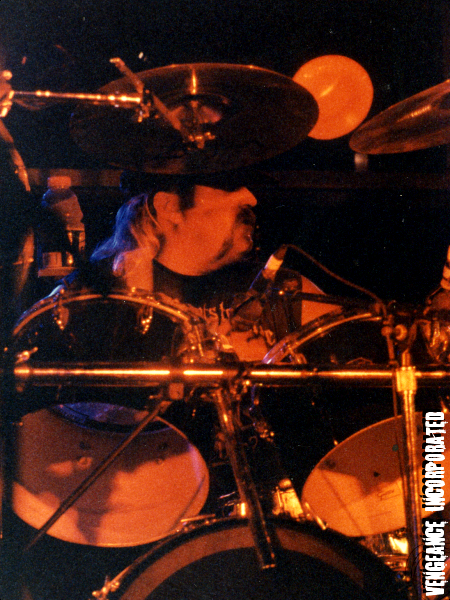 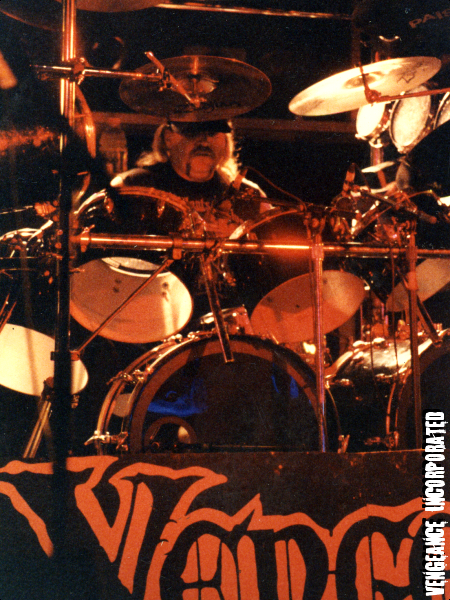 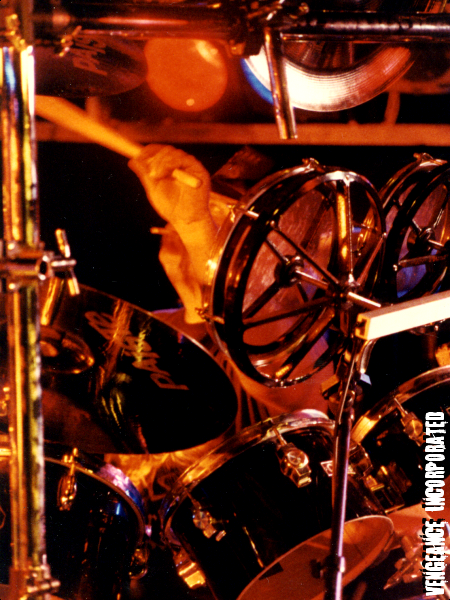 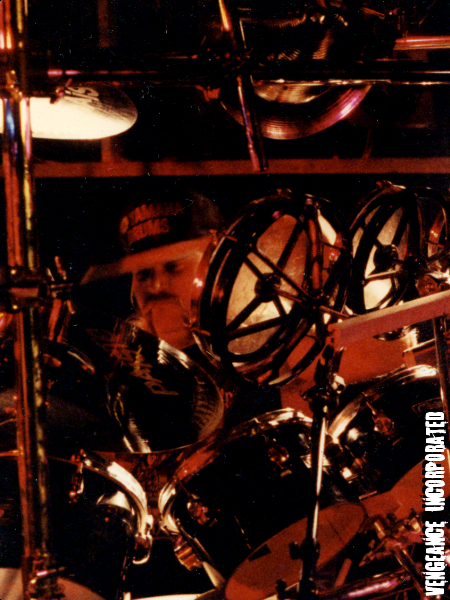 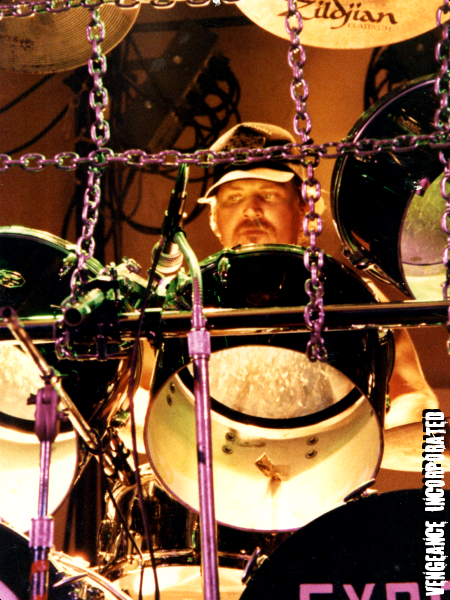 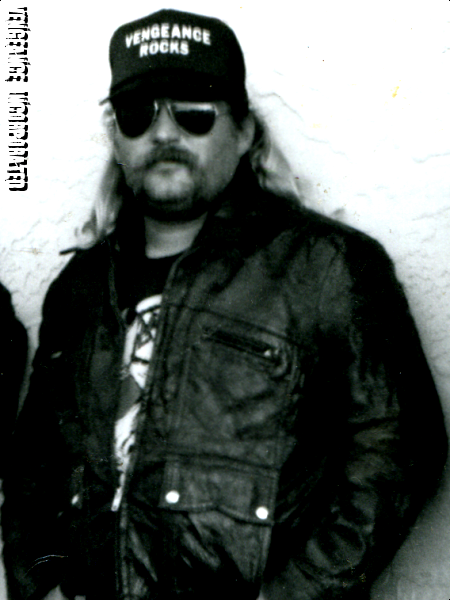 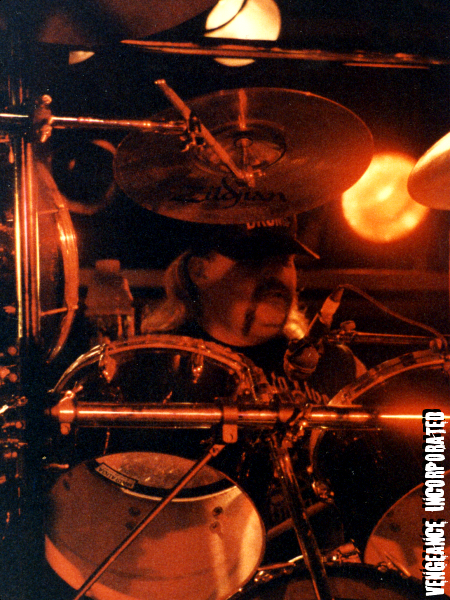 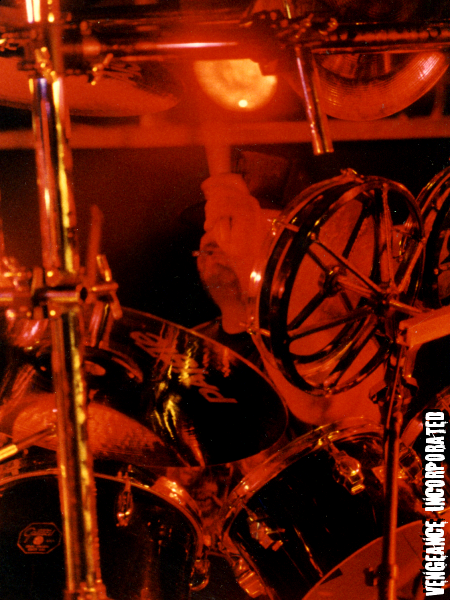 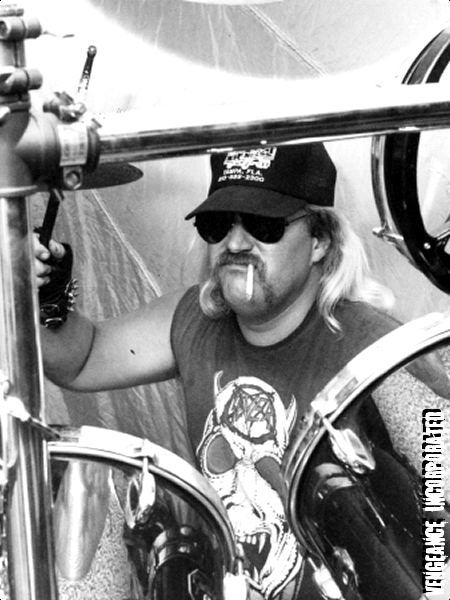 Chuck “Iron Fist” joined Vengeance as a trio with Guy and Curt and immediately went into the studio to begin work on the first album, Predator, on which they had already begun preliminary work with Curt’s brother, Dave, on drums. 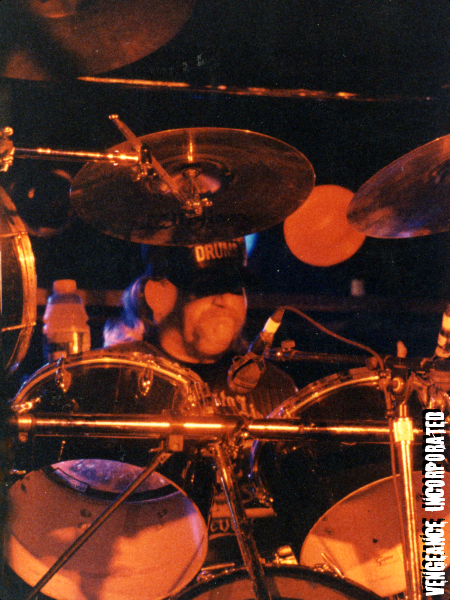 Dave left to join Brat, ironically the band Mike had left Vengeance to join a couple years earlier, although he was no longer with the band. 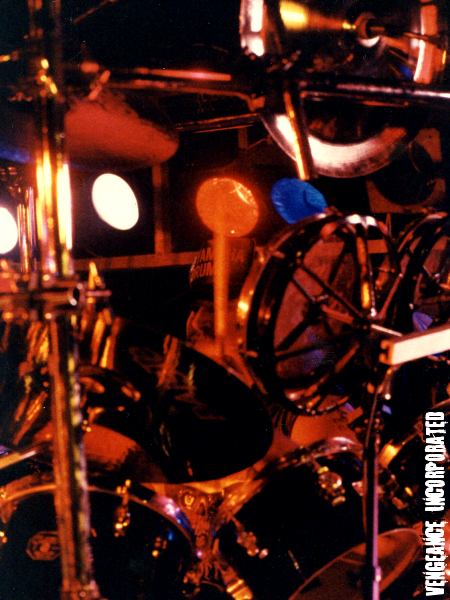 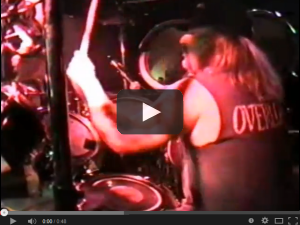 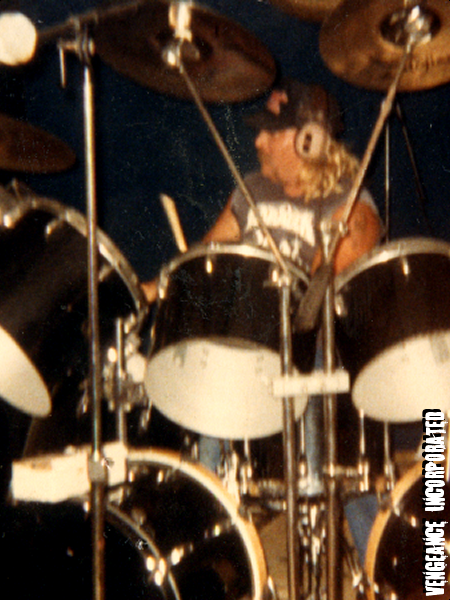 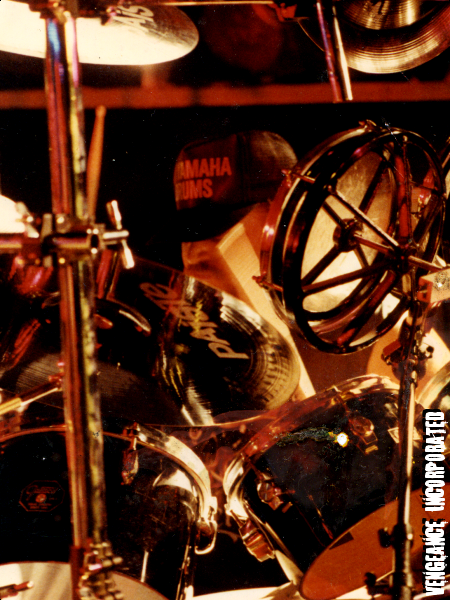 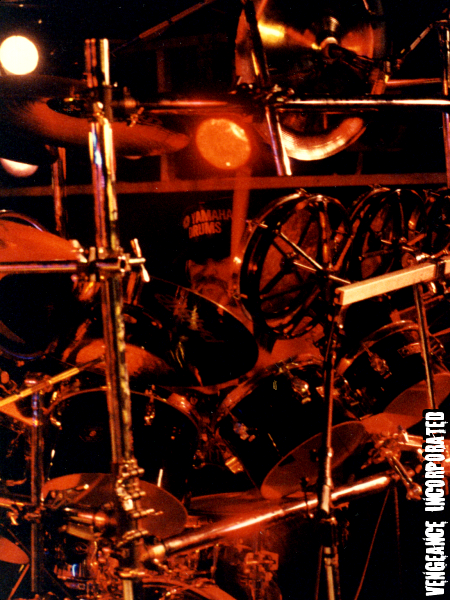 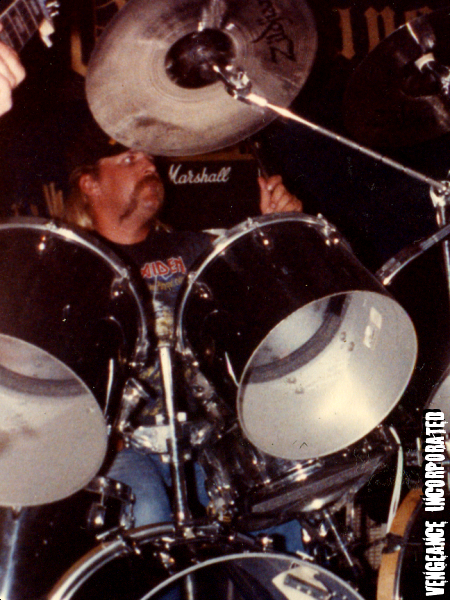 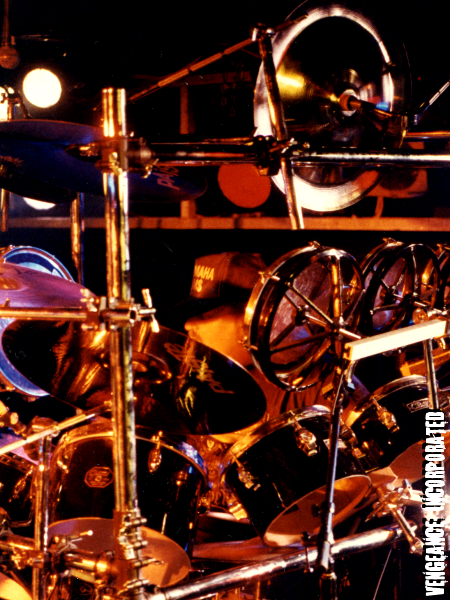 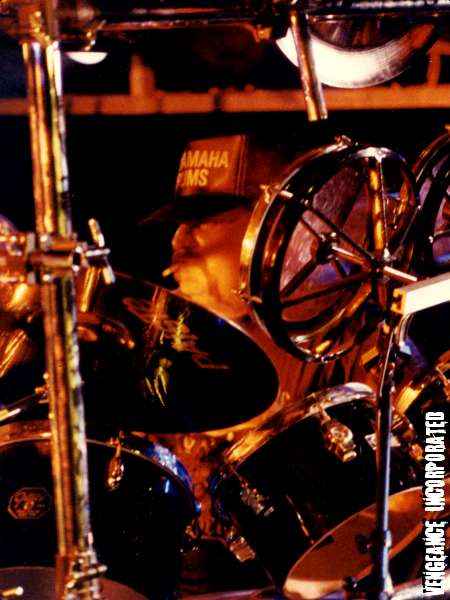 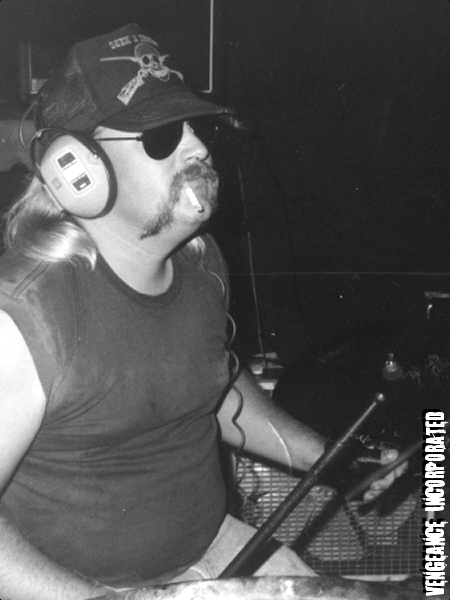 Chuck brought real power to the material that began defining the Vengeance sound. 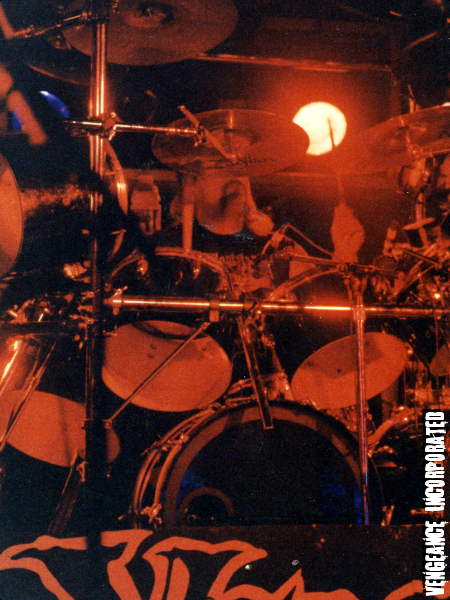 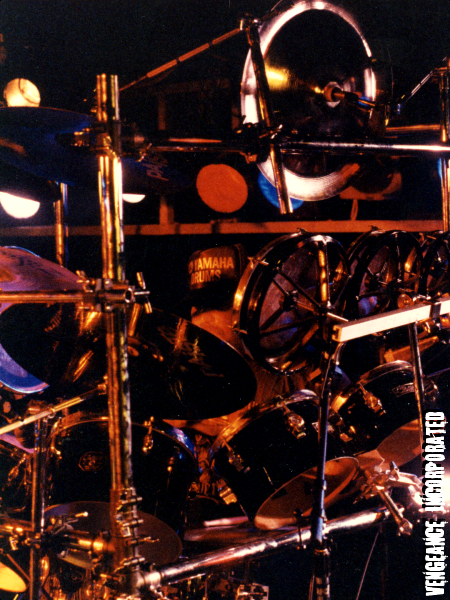 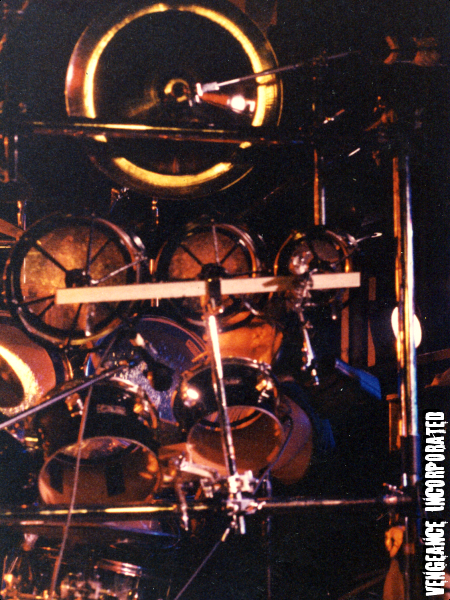 Formerly a single bass drummer, he learned double-kick technique during the recording of the project in time to add it to several tracks. 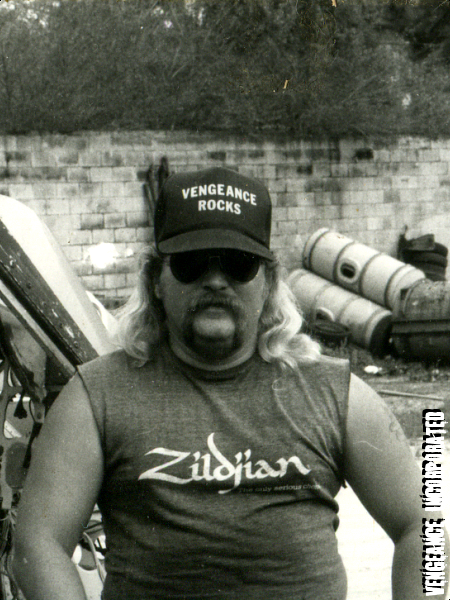 His commitment to the band was evident, as he showed up to begin work on the next project sporting a new “Vengeance Inc.” tattoo. 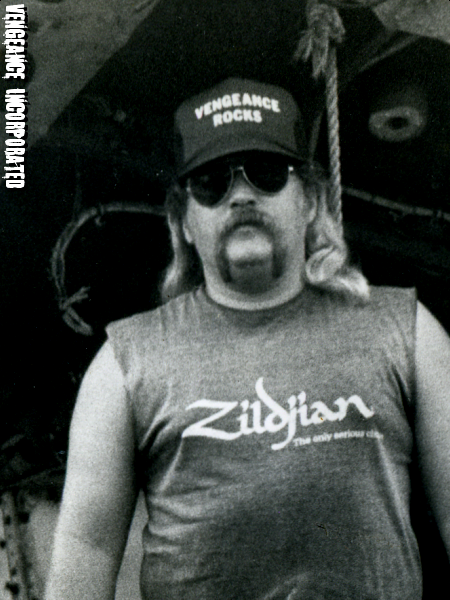 Chuck supplied the name “Vengeance Inc.” when the band, which had formerly just been called “Vengeance” began to get popular in Europe and came in conflict with Dutch posers calling themselves “Vengeance”, although Vengeance Inc. had been using the name longer, they sportingly added Chuck’s suggestion “Inc.”, inspired by Murder Incorporated – and Vengeance Inc. later changed to Vengeance Incorporated officially. 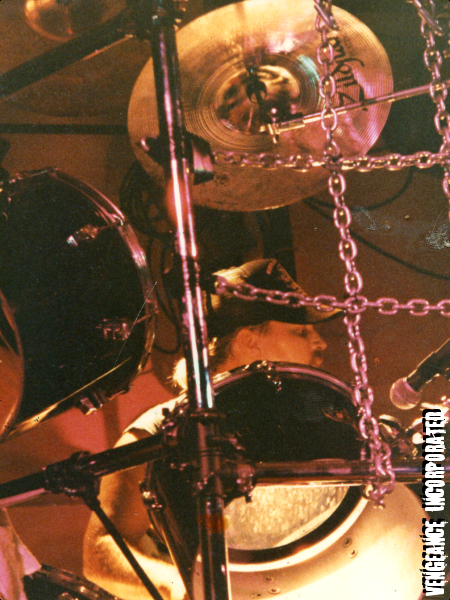 After spending long, hard years touring and recording with Vengeance, Chuck, Mike and Guy added a bass player and played as Screamin’ Weasel, later docweaselband. 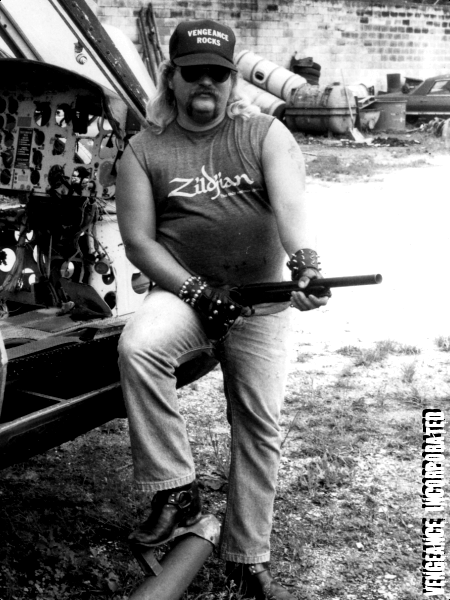 After several years with docweasel, Chuck decided to pursue his new obsession, Texas Blues. 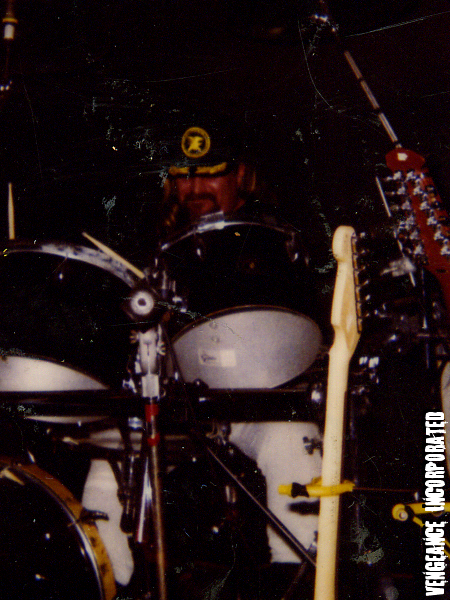 In Sept. 2000, Chuck’s band .357 released their first CD entitled “Killer Blues”. 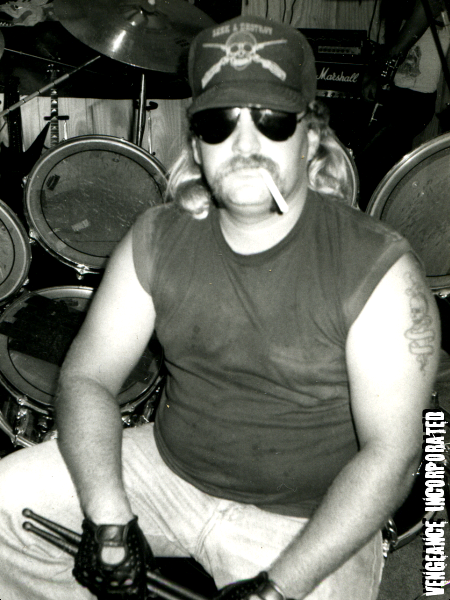 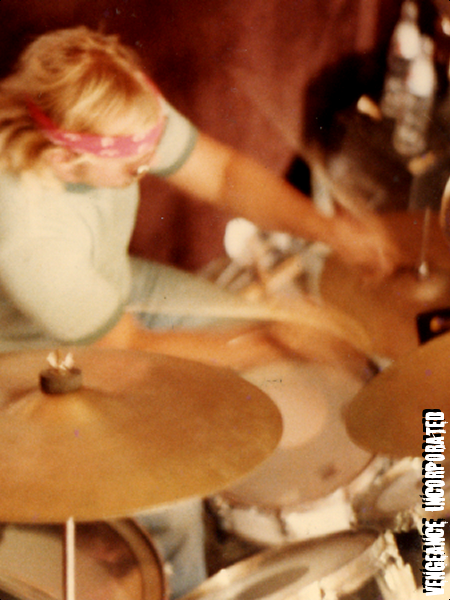 Chuck has gone on to play drums for several area blues bands. 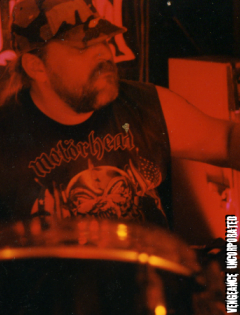 UPDATE: Chuck rejoined docweaselband in 2011 and has played several seasons as a member playing Bucs Gameday gigs.